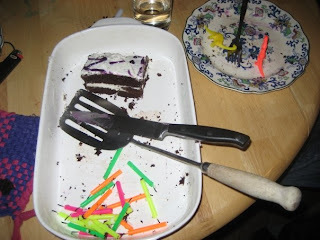 Gluten Freeways: It's My Birthday! 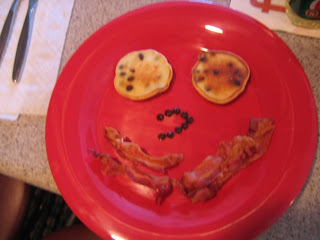 For my first gluten free birthday, my sister made me a gluten free breakfast! 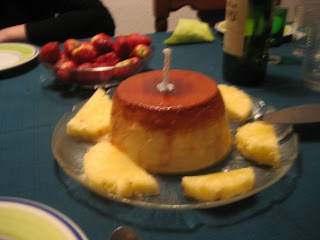 I was living with a Spanish family in Madrid at the time and they made me an amazing Spanish custard! 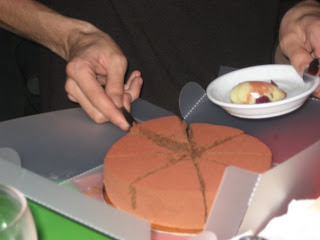 It was so delicious, very light and fluffy. During Semana Santa I went to visit a friend from college and a friend from high school in Greece (and we took a little trip to Turkey). 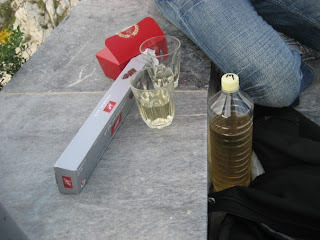 My friend and I celebrated my 21st on top of Lykavittos Hill in Athens; the views were beautiful and we watched the sunset over the sprawling city of Athens. By now, you can tell that I like dragging out my birthday for as long as possible. Fortunately my birthday fell around Semana Santa, which is the Spanish spring break. Also, in my defense, this was my 21st birthday so it had to be over-the-top. So I did a little bit of celebrating before my birthday (with my host family), then celebrated in Greece and Turkey, and then finished up with some celebrating in Madrid with my friends. My amazing friend Carolyn somehow found a gluten free bakery in Madrid (don't ask me how; suffice it to say this girl is AMAZING) so we celebrated with that. Incredible!!! My roommate Clara made me an awesome gluten free birthday cake -- and I left 5 hours later for a 10 day vacation in Costa Rica. Great birthday. Needless to say, we (read: I) ate the entire thing. 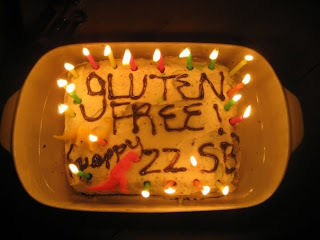 And there you have it -- this is my 4th birthday as a Celiac. Obviously the birthdays have become a bit more sophisticated over the year... I wonder what treats I'll dig up this year!